In the U.S., it’s estimated that online sales will reach close to $249 billion by next year. It’s also predict that there will be 175 million people shopping online by 2016. The growth in online sales is staggering, and now accounts for 8% of total retail sales. Without a doubt, selling online is reaching very high and lucrative levels. Whether you’re the owner of a traditional brick-and-mortar store wanting to expand online or are an entrepreneurial person desiring to cash in on this upward online sales trend, one of the major things you’ll need to consider early on is what platform you’ll want to stage your web store on. The great news for you is that there are plenty of open source (free) e-commerce software at your disposal — we’ll take a look at the top choices in this article. Let’s begin the discussion with the oldest one out of the bunch. osCommerce is one of the oldest open source shopping carts available in the market, being around in existence since March 2000. The project originated from Germany. On the backend, osCommerce uses PHP for server-side programming and MySQL for its relational database management system (RDMS). 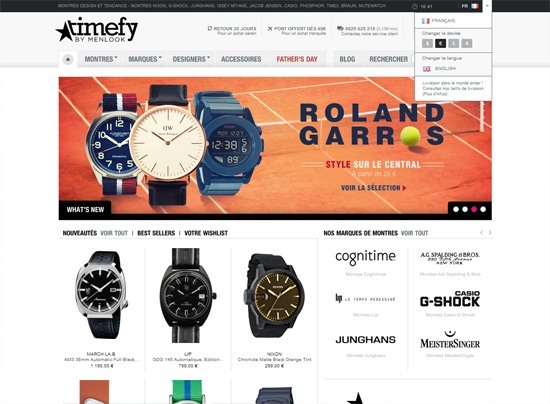 This popular open source e-commerce solution is used by close to 13,000 websites. 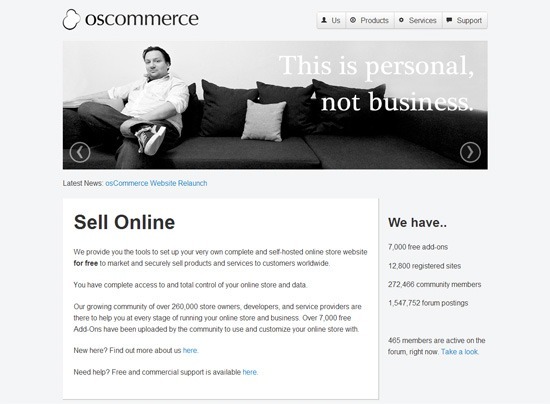 In the course of over 12 years, osCommerce has formed a huge community around it consisting of 270,000+ members, so you’ll be able to lean on thousands of osCommerce experts and web developers specializing in the e-commerce platform if you’re ever in need of support. osCommerce is known to be a modular system — that is, you can enhance its out-of-the-box features by installing add-ons. There are over 7,000+ add-ons that will allow you to extend the software’s functionality. Throughout its history, osCommerce has been vulnerable to major security issues. For example, in 2011, 4.5 million osCommerce web pages were infected due to a security hole that permitted the attackers to inject affected sites with malicious code. These security issues are generally patched quickly, though. For a long time, osCommerce was the best shopping cart available, and you had very little other viable options. But, at the moment, it’s gradually being supplanted by its rivals. "Have you seen old screenshots of Internet Explorer 4 — remember when it came out and it was cool but now you look at it and laugh and remember the good old days and Melrose Place and what not. osCommerce is the Internet Explorer 3 of shopping carts. Technically it might still work but it will be the worst online experience of your life. 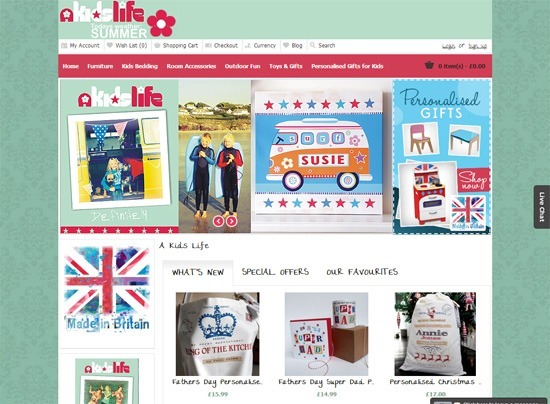 Please think of the children, don’t even visit the site it just encourages them." As someone who often needs to provide very quick and inexpensive solutions for my clients, osCommerce is not my recommendation if they’re a small business owner who wants something that’s user-friendly and easy to customize. 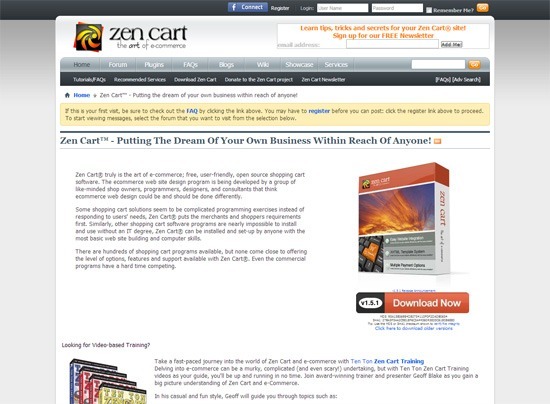 Zen Cart is very similar to osCommerce. The similarity is not surprising because Zen Cart was originally developed using the osCommerce code base. Zen Cart is mainly targeted towards developers and advanced users. Creating and managing websites built with Zen Cart, as well as editing or updating Zen Cart templates, is a complex affair compared to newer online shopping cart software like OpenCart or PrestaShop. In my opinion, Zen Cart is getting dated. Since it’s open source software, technically, it’s free. However, using Zen Cart will still require huge resource investments unless you’re already a Zen Cart professional (or have access to one). 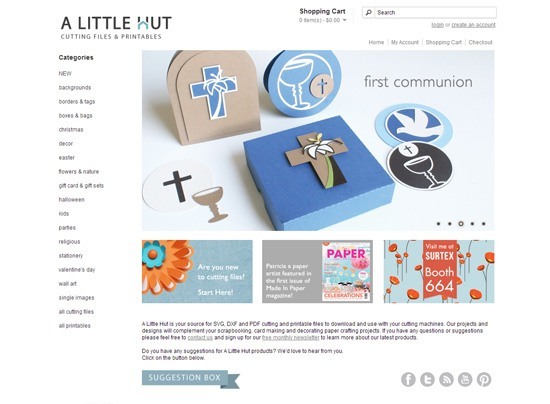 If you have a budget to spend on setting up an online store, on hiring a designer to create a catchy theme, and on getting a developer to help you manage the system, then you could go with this option. 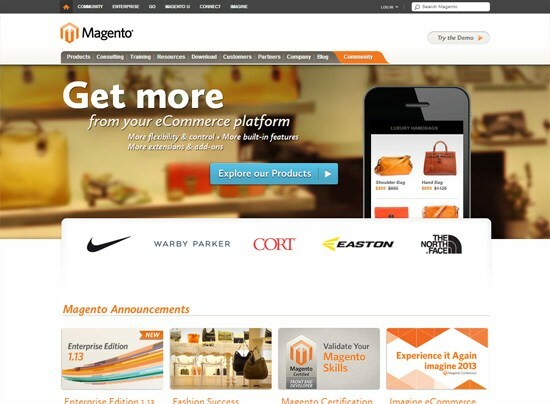 Magento is the world’s fastest growing open source e-commerce platform right now. Magento currently serves more than 125,000 merchants worldwide. 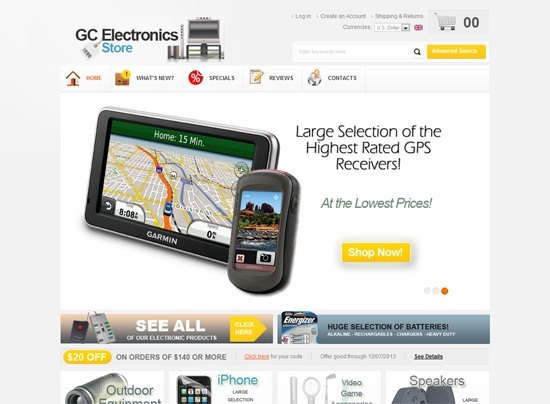 This open source project started in 2007 and within 4 years was quickly acquired by eBay. Magento, being highly configurable and robustly featured, has attracted a lot of contributors to itself. Magento can be compared to WordPress in that they both revolutionized and dominated the space they targeted — Magento in e-commerce, WordPress in blogging and content management. Currently it offers three plans to choose from ranging from $0 to $49,990 per year. We’re talking about the free, open source edition here, which is called the Community Edition. Its free edition is unsupported — or, to be more precise, the support is community-driven (just like other open source projects), and the technical documentation is very limited. 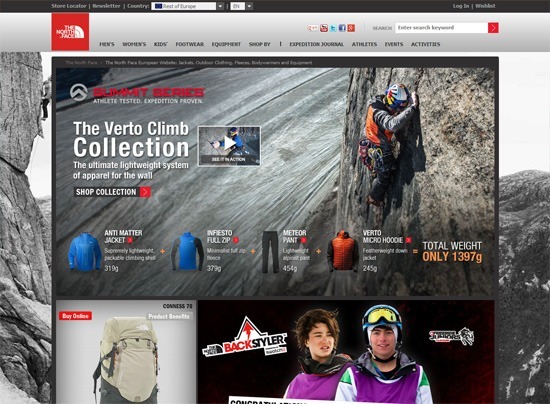 "Magento stormed onto the scene several years ago as a new open source shopping cart. It was highly configurable and full featured and the developer community jumped on board with great enthusiasm. Then normal people tried to use it and the wheels fell off. It was difficult to use, very slow and unresponsive and for free software small businesses seemed to have to spend an awful lot of money keeping there stores maintained properly." 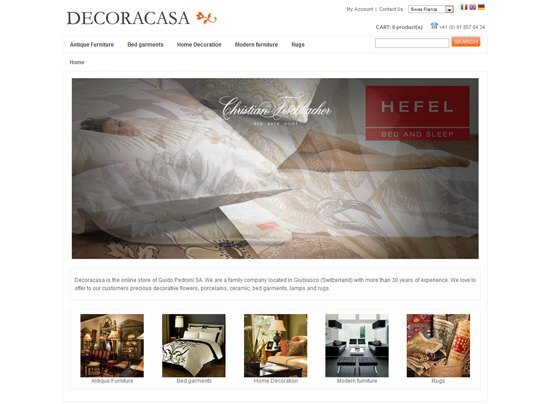 There’s a great number of ready-made templates or themes that store owners may choose from to hasten the process of web store creation. But the templates are going to be difficult to customize extensively if you don’t have web development expertise. Magento can be the best solution for those who must manage multiple stores from a single admin interface and database, and for large enterprise stores that expect to spend a lot on website maintenance and customization. With Magento, you’ll be able to control every aspect of your online store. 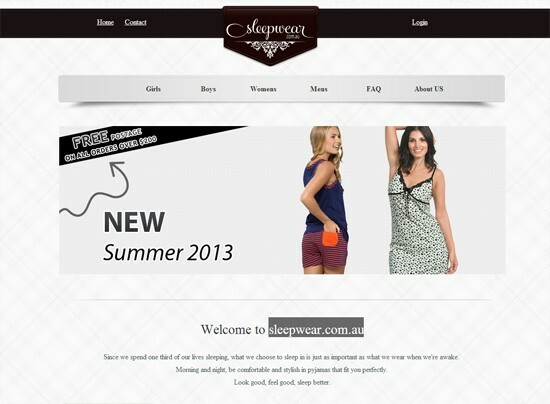 Magento seems to be the best choice for online store growth and scalability. It has already left competitors far behind in terms of features and user-friendliness. It’s no secret to those that have used Magento that it will need a web developer to set up and develop. That’s why I recommend Magento to professional web developers and web development enthusiasts. However, if you’re not the most tech savvy or don’t wish to make a huge investment in getting your Magento store set up properly, you might have a hard time with this e-commerce platform. Only having the most essential e-commerce features, lots of marketing tools for site owners, the capability to run multiple online stores through one installation, a good and active community support, and plenty of technical documentation makes PrestaShop a great choice for online retailers. Being not so highly targeted towards web developers, PrestaShop has an emphasis on user-friendliness. Though in order to do some advanced customization you might still need to hire a pro. 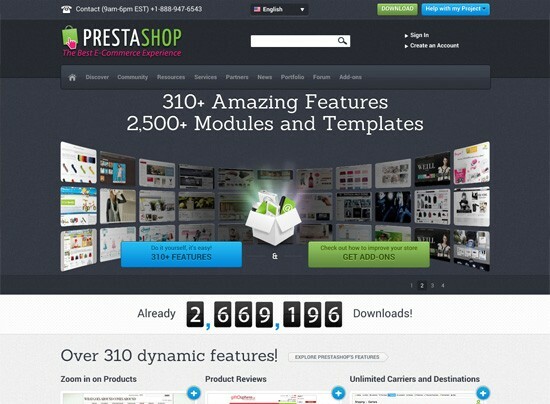 PrestaShop has been around for more than five years and it currently powers 130,000+ active online shops. 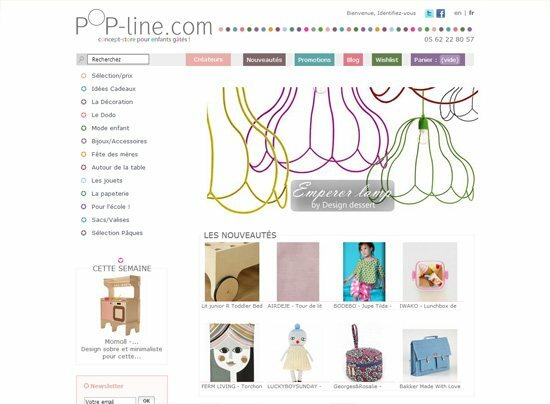 This open source e-commerce solution has been downloaded 2.6 million times. 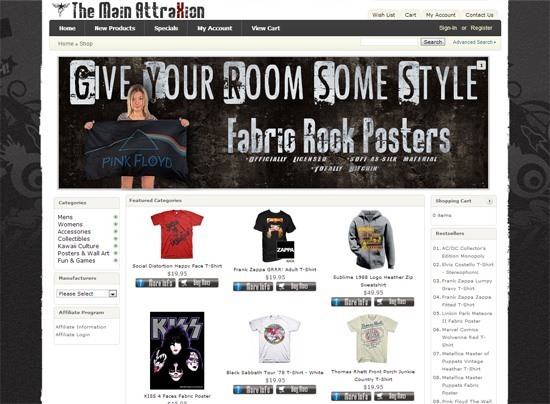 PrestaShop, out of the box, provides shoppers with a smooth shopping and checkout process. 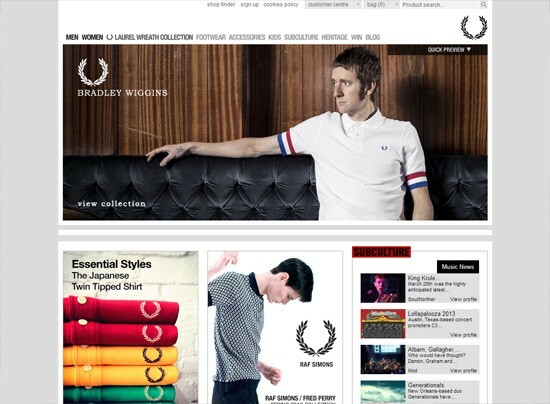 To me, PrestaShop is a great choice if you find Magento or osCommerce overwhelming or too complicated. PrestaShop is a very powerful shopping cart solution aimed towards both developers and end-users. It’s much simpler and more user-friendly compared to your other options. I believe that in the next few years, PrestaShop will definitely surpass its competitors in popularity. It’s hard to point out any major issues with PrestaShop. 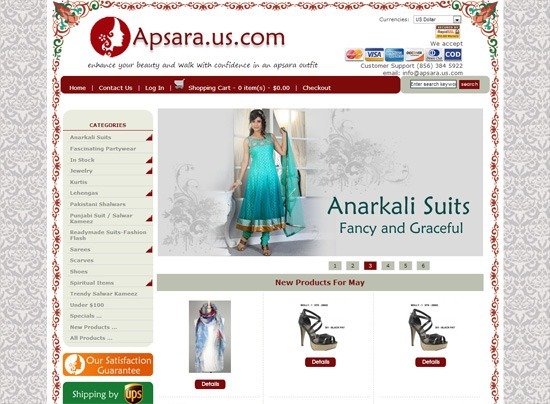 It’s ideal for all types of online stores. Even though OpenCart is the youngest among the e-commerce platforms in this article, it has already proved itself as a top choice. The success of OpenCart is in its simplicity and excellent usability for online merchants as well as their customers. OpenCart’s target market seems to be the small- and medium-sized online retailers, and the project contributors as well as the community are very responsive to their needs. The project is updated quite often, providing users with new features and fixes. It’s a real gem for online merchants among all the other options. Some notable features include multi-store capabilities (like Magento and PrestaShop), the ability for online customers to leave product reviews and ratings (like what Amazon.com allows its customers to do), PCI compliance, multiple tax rates, discount coupon system, and printable invoices. OpenCart is also highly extensible and it has a great number of extensions already — over 8,800+ extensions. As a person who spends a lot of time supporting and managing OpenCart web stores, I find that OpenCart is much simpler than PrestaShop. OpenCart’s administration panel is intuitive and easy to control. What I like about OpenCart is that you’re not overwhelmed with a lot of functions you probably won’t ever use; it just has a well-thought-out set of extremely useful features. 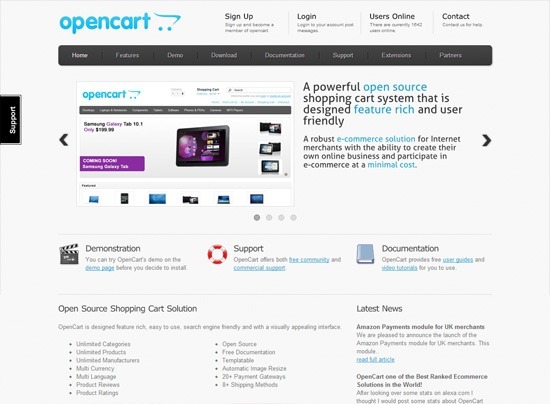 Being a relatively new shopping cart, you should be aware that OpenCart is still under development. 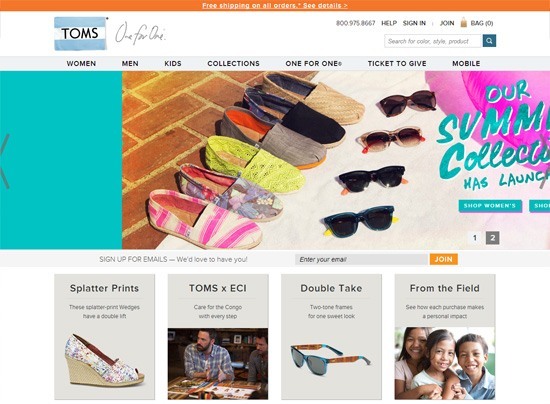 Though OpenCart is new, it looks to be a very strong e-commerce solution. It’s a good choice for first-time online merchants. It’s quite clear that Magento is dominating the space right now. osCommerce and Zen Cart seem to be on their way out — interest in these e-commerce solutions is decreasing. There was a time when osCommerce was extremely popular, but those years are done. Zen Cart didn’t even reach the peak of its glory because of new platforms like Magento. 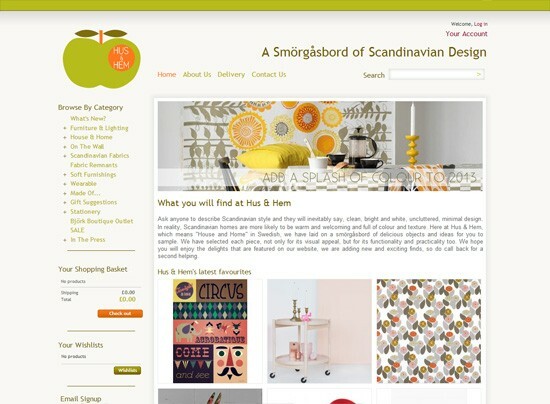 The entire landscape completely changed with PrestaShop and then OpenCart jumping into the scene. PrestaShop’s popularity grows steadily and, in the near future, I think it’s going to surpass its rivals. OpenCart grew the fastest out of all the open source e-commerce software we’ve discussed, I think even faster than Magento. It’s popularity has doubled over the past year. This is indicative of the project’s ability to provide a good e-commerce platform to online entrepreneurs. Google Trends illustrates the interest towards these open source e-commerce solutions over time. 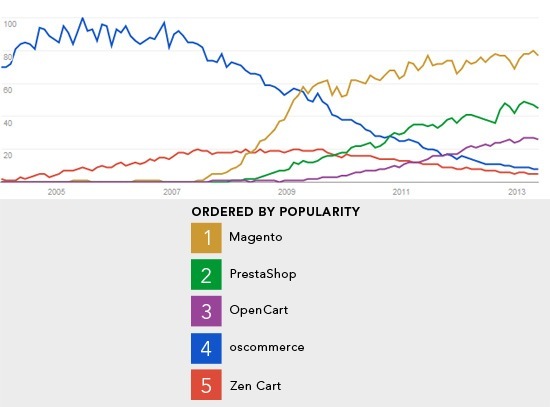 As shown in the graph above, Magento is the reigning platform. Interest in osCommerce and Zen Cart has greatly declined. PrestaShop and OpenCart — being the newcomers in the scene — are quickly reaching high interest levels. In this article, we covered the top five most popular open source e-commerce solutions in the hopes of helping you choose the perfect platform for your online store. E-commerce has emerged in every corner of our lives, providing more freedom and control in comparison to shopping in a physical store. Tatiana Titkova is a blogger and marketing consultant specializing in user-friendly e-commerce design. She worked in the web development and online marketing industries for seven years before becoming a part of the TemplateMonster team. She enjoys working with clients to deliver effective e-commerce solutions with Magento. Join her on Twitter and Google+.